Rugby League Fans are predominantly males living in QLD and NSW. They are typically working as tradespeople and are affiliated to their team. 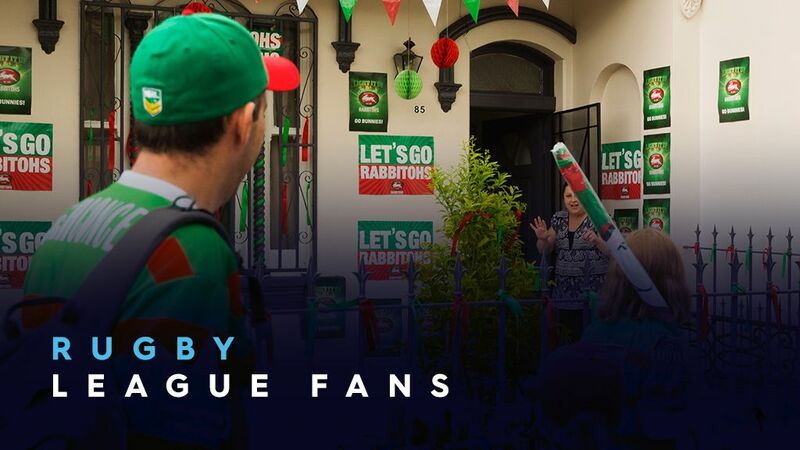 Living in working-class areas of Sydney and Brisbane, they are avid watchers of The Footy Show and live games. They typically bet on games every weekend and gather information on their betting based on all news relating to their team and who they are playing weekly. Their main grocery buy is centred around alcohol with cases of beer being their primary purchase. They are also fast food consumers having their takeaway meals home-delivered on game day.